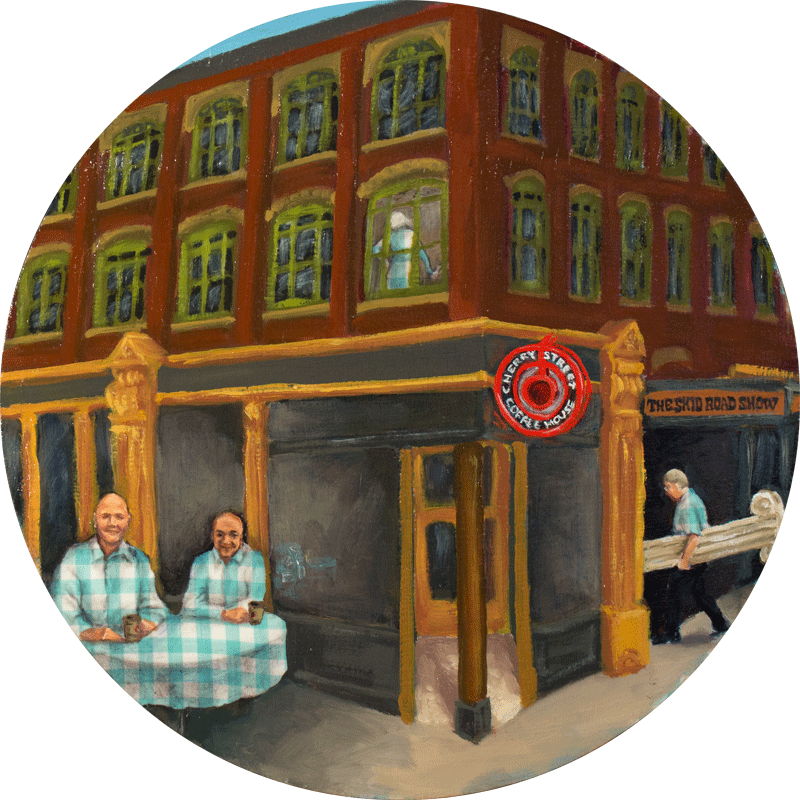 I accept private and corporate commissions, incorporating family photographs, topical historical ephemera, or something inspired from viewing my past work. I’m happy to incorporate a piece of fabric of your choice, subject to technical considerations, or I can help you choose something appropriate from my stock. Terms, including price, artistic latitude, and number of revisions, are negotiated on an individual basis. Please inquire. 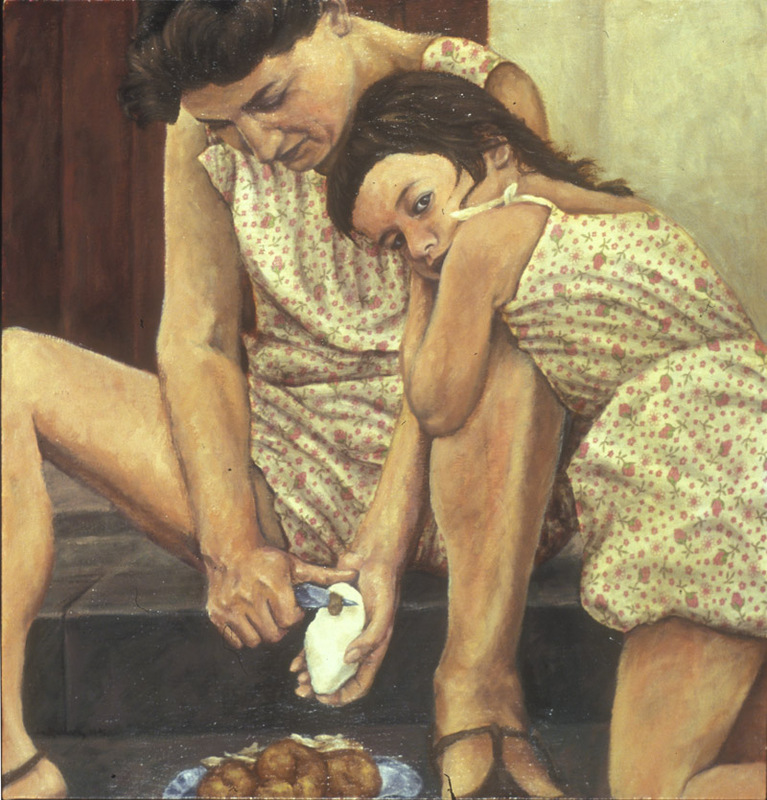 Arden Sugarman, director of the George Sugarman Foundation, commissioned this painting, inspired by a family photograph, incorporating a piece of fabric from the collection of her mother, a textile artist. 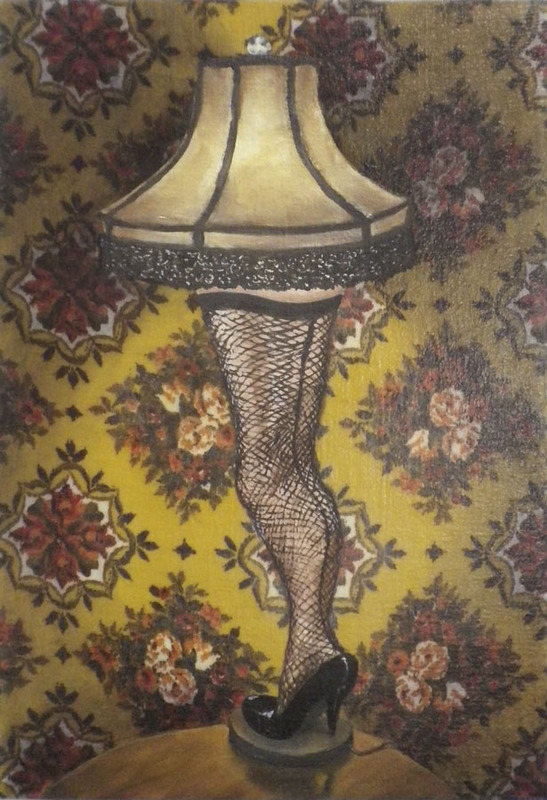 This painting was created for, surprise, Leg Lamp Productions, producer of the Broadway version of A Christmas Story. Signed giclee prints of the original were given as opening-night gifts to cast members. 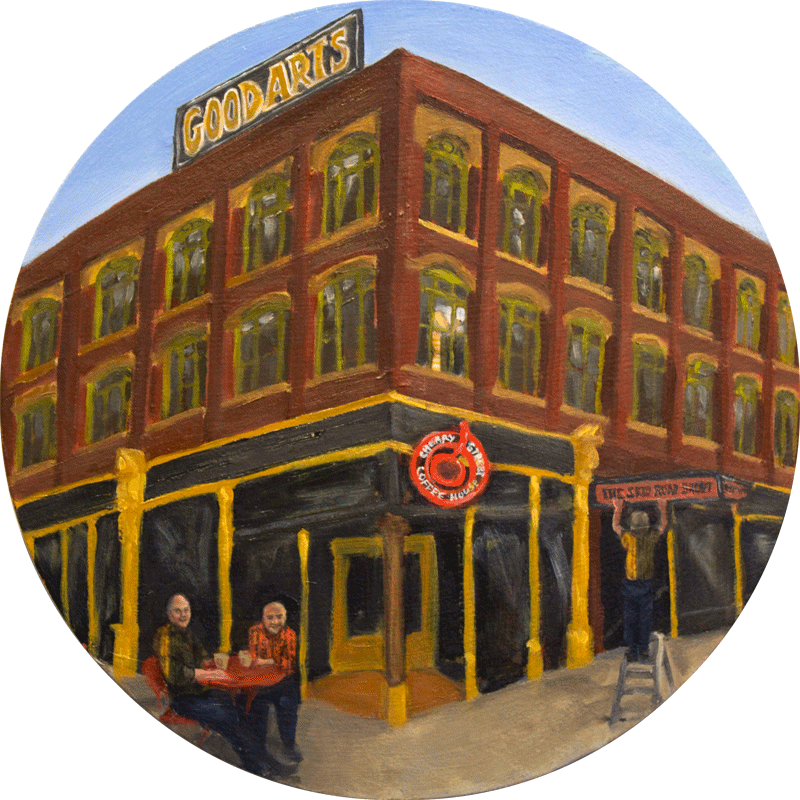 Developer Greg Smith, co-owner of the Good Arts Building, commissioned these two versions of a portrait of the building and all four owners. I’m the one painting in the window.